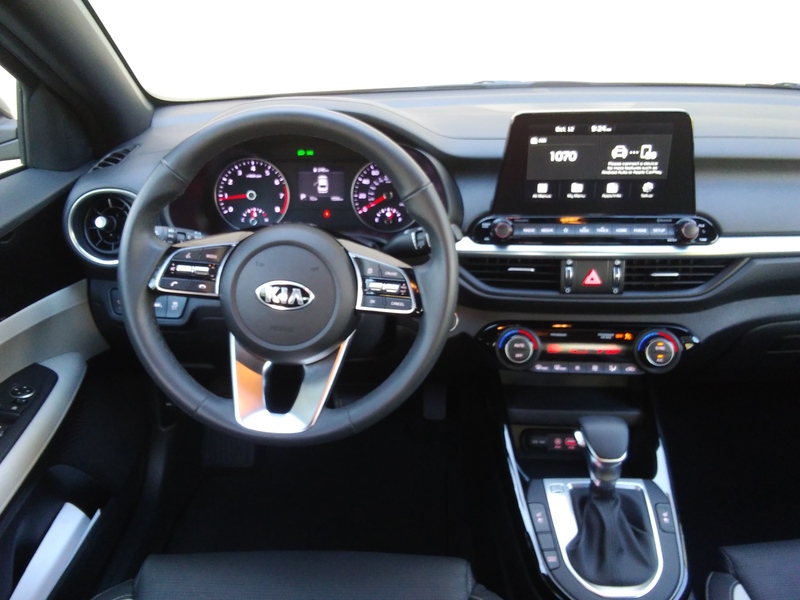 Kia’s fun and affordable sedan has been thoroughly freshened and updated for MY 2019. 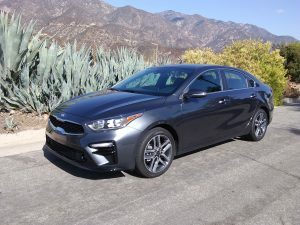 I’ve always liked the Forte, creatively named (remember, the 2-door version is named Koup), and offering good quality and solid transportation value for money. With this “all-new” 2019 version, the Forte has really grown up, delivering better driving dynamics and performance, updated connectivity, a high quality interior and similarly strong value message. EX is Forte’s top trim level, and it comes so loaded my tester had but one single added cost option, yet lacked for nothing. 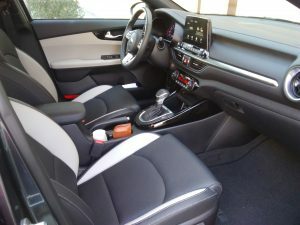 That only option was for the thickly carpeted floormats, yet the dual front, dual front seat, and dual side curtain airbags, plus dual Zone HAVC, heated and cooled seats, upgraded audio system, blind spot and collision avoidance warning systems, and bunch more were all standard. Check out the window sticker below if you don’t believe me. The Forte was always cute, and now it’s become handsome. The graphite gray metallic paint on my test vehicle is deep, shiny, lustrous and elegant. The also charcoalish cabin has gone upmarket too; the two-tone “Sofino” seat trim (in other words, high quality vinyl) looked for all the world like leather, and the black/tan accenting gives the interior a high quality upscale look. There are lots of equally upscale touches scattered here and there about the Forte EX, including front fog lights, LED taillights, LED daytime running lights and turn signals, plus heated exterior mirrors. 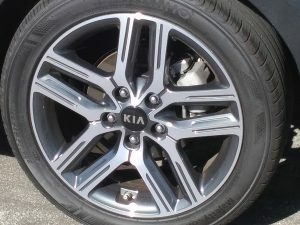 And some very handsome, and pretty sporty, 17-inch alloy wheels wrapped in wide grippy tires too. 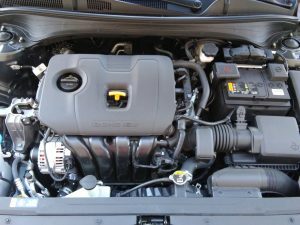 There’s but one powertrain offering in any Forte, but its really all this car needs, that being a naturally aspirated 2.0-liter 147-hp I-4, EPA rated at 27/37/31. Not a big number, but one that’s market competitive and adequate to move this compact sedan along smartly. 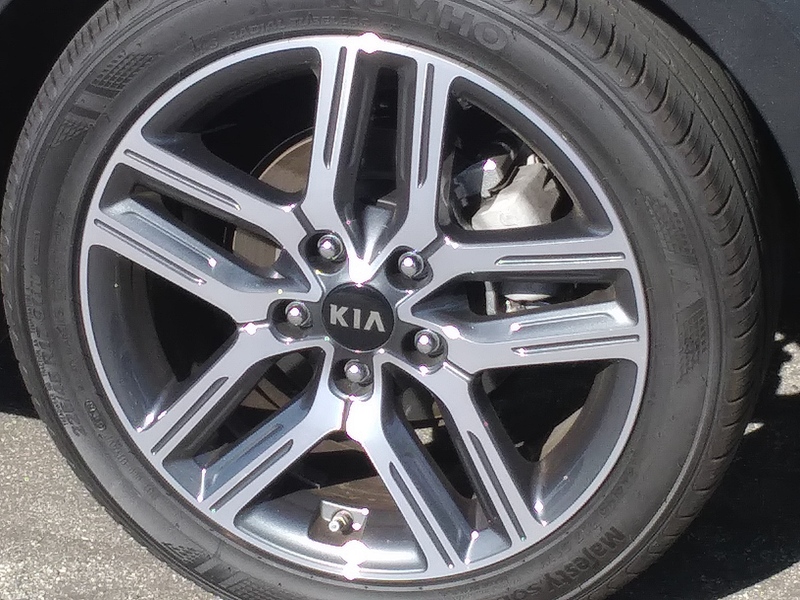 This little gem of a motor is backed (only) by what KIA calls an ICVT, or intellegent continuously variable transmission. I’m seldom a fan of CVT transmissions, as most aren’t very smart or responsive to throttle commands. 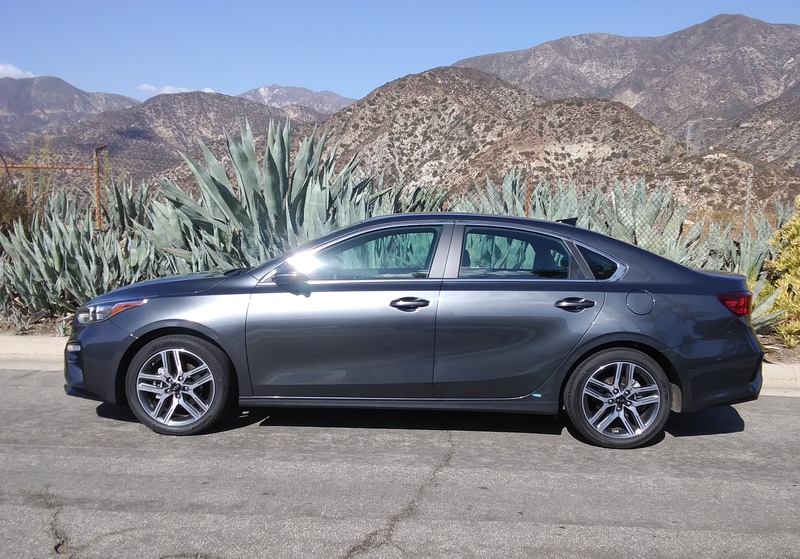 But this one’s not too bad, but its nowhere near as crispt and efficient as is the dual-clutch automated manual that Hyundai uses in the Ioniq. 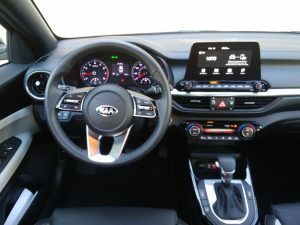 Nor is it as sharp and responsive as several of the conventional 6-speed automatic boxes in other Hyundai/Kia family models. But not a deal killer either. This car is a jewel to drive. It’s roomy and comfortable for full sized adults, and the cabin is well finished with quality fabrics, plastics and materials. Most everything is nice to the touch, and looks good too; particularly the aforementioned multi toned seats with contrasting piping and stitching. It accelerates well enough, but won’t win many drag races, although the entire car is very responsive to steering commands. The suspension is game for spirited corner carving yet still compliant enough for the freeway commute. And the car is adequately quiet in terms of minimal road rumble and wind noise. The brakes are wholly up to the job, the connectivity all works great, and its got safety gear galore. Complaints? Not much and not many. 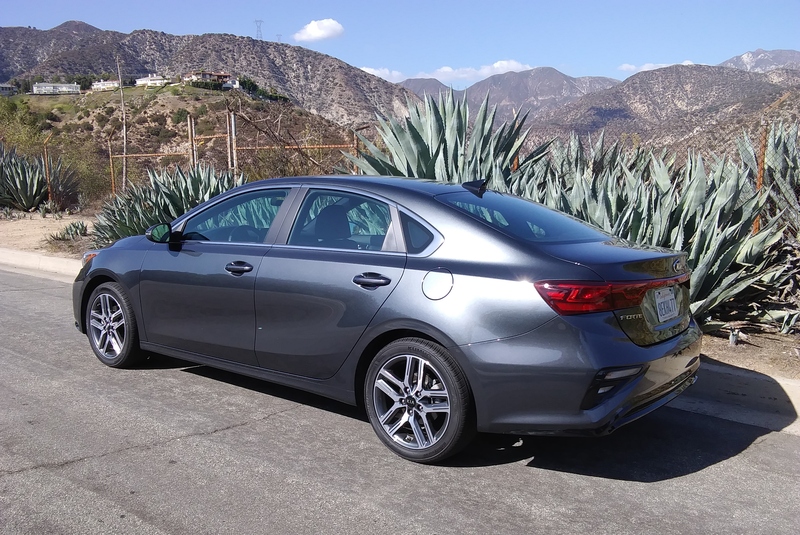 147 hp is just enough, other 2.0-liter I-4s in competitive cars offer some bit more; you never get the feeling of it being noticeably underpowered, but it’s no screamer either. I suspect a more responsive transmission, as noted above, would make more of the power on hand. 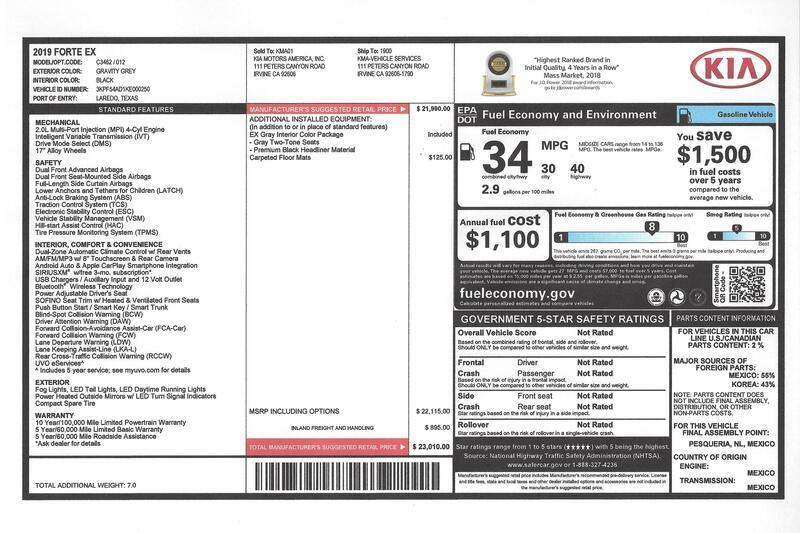 None of this is deal-killing, but some of the others out there feel a little sharper performance wise, although no complaints with the handling — much of the credit owed to good suspension tuning and that responsive 17-inch rolling stock. 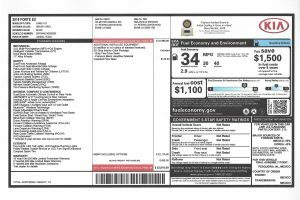 Lesser trim levels have less goodies than does this EX, but then again they cost a few grand less too, so that level of trade-off is up to your personal needs, tastes, and budget. All said and done, a great car fully competitive in its segment, and a solid value too. If you are considering a Focus, Corolla, or anything along those lines, I suggest you cross-shop the new Forte as well. Not forgetting Kia’s rather fabulous warranty coverage either.